Are you ready to go from invisible to influential? Visibility online can help you make the IMPACT that you desire by leaving your mark on the world. It is more than just posting content on social media multiple times a day. A strategy, content, consistent messaging, and branding are just a few things that can help catapult your visibility online to put you in the spotlight. As part of the 3-part visibility tip blog roundup, you’ll hear from 70 experts who share their insights on what it takes to get visible. Each expert tip is unique! 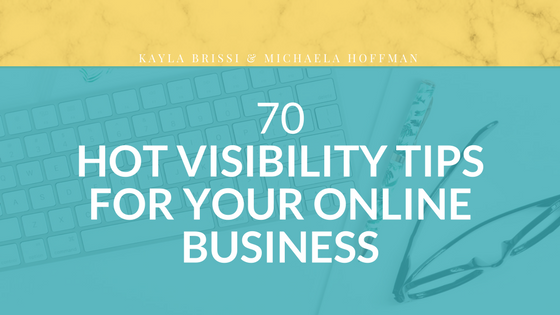 These 70 expert tips can help you go from invisible to INFLUENTIAL with your online visibility. We want to help YOU make the IMPACT that you desire. If you haven’t already read the first two blogs, feel free to click the appropriate links below. Now, let’s dive into the last part of this series so that you can increase your influence and impact online! Are you ready to take your visibility to the “next level”? Visibility is not about posting random content on social media. It’s about posting on the RIGHT platforms where your dream clients are hanging out. It’s about providing meaningful value as part of a long-term strategy. It’s about connecting with other influencers and spending time in their space to build brand recognition, credibility, and boost your exposure! The following experts share some insightful tips on how to take your visibility game to greater heights. You’ll hear from a variety of experts in various industries that share their hottest visibility tip to help you get insanely visible and gain influence in the process! If you haven’t checked out PART 1 or PART 3 of this 3-part visibility tip blog roundup series, feel free to click HERE so that you can read all the amazing tips that 70 incredible experts provided to you. Are you ready to get insanely visible? Let’s dive in and get VISIBLE! If you’re NOT visible, you don’t exist! Are you ready to take your visibility to the next level so that you can make the impact that you desire by being influential? 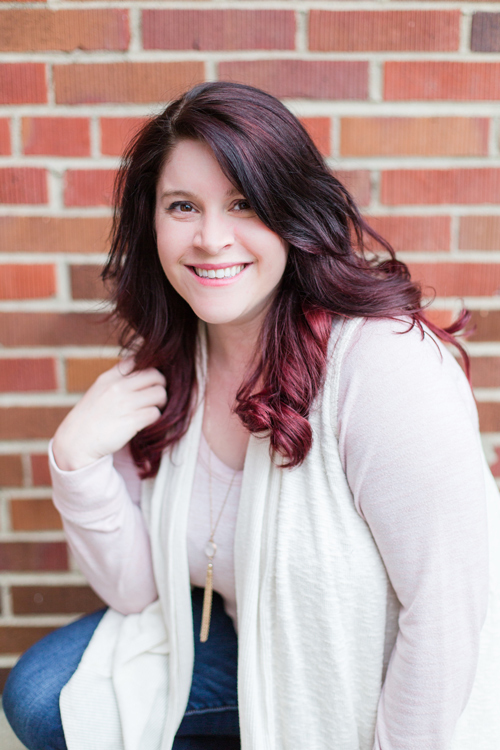 My colleague, Kayla Brissi, and I gathered 70 experts to share their top visibility tips in a three-part blog roundup series. In this series, you’ll hear from a variety of experts. They are sharing their wisdom on visibility so that you can get insanely visible, gain influence, and make an impact so that you can leave your mark on the world! Below are the expert tips from some of the top professionals in their industry that have a thing or two to say about how to get visible. When was the last time you looked at your website? Like really looked it over and not just added another blog post? Websites need love and caring just like a garden, this is what you need to do after you launch it to continue caring for it. One of the benefits of continuing website care is that you know it is always accurate. Many times we get busy working with clients and forget to make adjustments to our own stuff even if our business has changed. Often we get our websites up, it was quite a journey, and now you want to sit back and focus on other things. While this is true for a time you still need to care for your site over the long term to keep it working for you! There are a lot of strategies that you can use to help keep your website up to date. You can set appointments with yourself to spend some time reviewing your site. You can spend a little time each morning. Or plan for a big review twice a year but the important thing is to revisit your site and click around because websites change. Especially in today’s web world where you are relying on so much data being served to your website if one of those things quit working it will quit working for your site. I’m sure you’ve had this happen either on your site or someone else’s site where you get intrigued by this headline and click to read more only to be taken to a page that says the content doesn’t exist. Eek! None of us want that to happen on our site. So regularly revisiting your site can help you notice when this happens and get it fixed faster. Review your site a few times a year and adjust copy/photos etc based on where you are now in business, also check and make sure links are going where you want. AND that you don’t have dead links. Also, if you spend a little time with your copy/photos/services/offerings then you won’t end up with a huge mess on your hands after adding and adding to your website. As we grow, sometimes we and our business could change week by week and you may be presenting offers in places that you no longer wish to offer or maybe your prices changed and you get in a weird spot when someone asks you why there is a discrepancy. You’ll want to make sure you update your website software. This will help prevent security leaks and keep your website up and running. If you are using a hosting/website service for your site then you might not have to worry about this one. But definitely, if you are hosting your own you will want to make sure things are up to date to prevent security vulnerabilities from becoming a nightmare. Backups and security. Don’t hope and pray nothing will happen to you, make sure you are covered in case anything happens. Because you and I know when technology is involved things happen. Check with your hosting or if you have WordPress install the plugin Jetpack and configure the backups in there. When was the last time you refreshed your website and gave it a little care? Comment below! Want to make sure your homepage is ship shape? Download my Ultimate Homepage Checklist in the free resource library today! All you have to do for access is enter your information below! Get your website looking professional this week without starting from scratch! I hear it all the time from people in Facebook groups, friends who run online businesses and clients. They aren’t proud of their site. It feels off and they aren’t putting it out there yet and getting noticed. If you aren’t using the biggest piece of your online presence, your website, fully then it is time to make a change. It’s ok to make changes and adjustments as you go. The only thing that is not ok to do is to keep putting off working on it because you don’t know where to start or you don’t want to get sucked down the rabbit hole and spend months making adjustments. I’ve got a list of 5 easy things you can do to make your website look more professional without completely starting from scratch! Do you have a custom domain for your site? A custom domain does wonders. For example, a custom domain looks like this “yourname.com” and it looks more professional and polished than “yourname.example.com”. The example part of that domain, if you have it is probably the website hosting you are using like: wix, weebly, squarespace, wordpress or many others. Most of those services will allow you to buy a custom domain through them so that you get to remove their name from your URL, but you might want to consider going through a separate service to purchase your domain name. See more on custom domains in the first part of this series here. 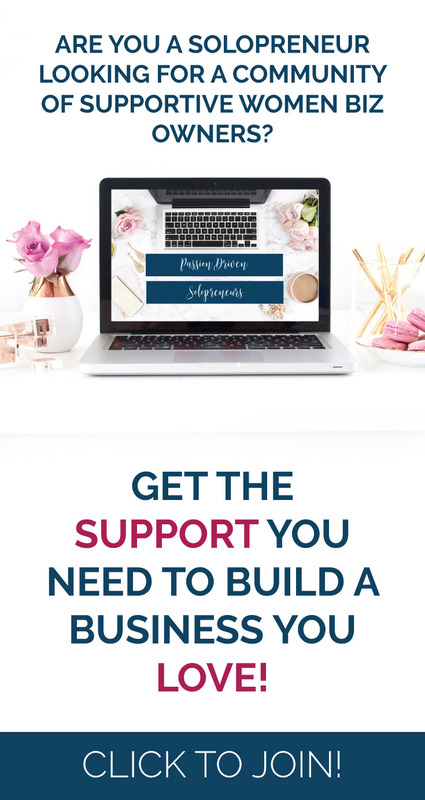 Even if you are a DIY website maker with one of these services it is extremely important to have a custom domain for your website because it signals to visitors and potential clients that you are professional and serious about your online business in a very subtle way. Don’t know what a favicon is? I bet you have a bunch of tabs open right now in your browser. It is the little image in that tab next to the name of the website. Your favicon is going to be a simple version of logo mark because a favicon can only be 16px by 16px and detail gets lost at that small size. If you are using a WordPress website you can install a plugin that makes the process easy. Just install the plugin, upload your file and you are good to go. Use white space. Above the fold is a thing of the past with all the different screen sizes these days. But one thing that does make a huge difference between a professional website and one that needs a little tweaking is white space. White space is the spacing around elements on your website and gives people’s eyes a chance to breathe and take in the information. Above the fold is a thing of the past with all the different screen sizes these days, it’s still important to have the most important information higher on the page but not everything has to fit above the fold. But one thing that does make a huge visual difference between a professional website and one that needs a little tweaking is the use of white space. White space is the spacing around elements on your website and gives people’s eyes a chance to breathe and take in the information. Go take a look at yahoo news and see what I mean. This kind of website is known for jamming everything together but it does make it hard to know what information is the most important, what you should be looking at and is visually congested. So give your content some space and let the important information stand out! Review your content. Make sure your website’s copy is fresh and up to date. If you have changed your programs details make sure they are correct on their sales pages, etc. I know I’m guilty of the set it and forget it approach to my website sometimes. I get a new sales page put up and then never take another look at it. Often we only ever take another look when someone brings something to our attention. I have a billion and one other things on my to-do list and when I get something marked off I don’t often go back to it. But this is a habit that is good for you and your business. Schedule a little time at the end of each quarter to review the content and graphics you are using. Make sure it is all up to date, that your program details are still correct, your bonuses or extras are still correct and that you are still in LOVE with your offerings. Use pro photos of yourself. Using a blurry and strangely cropped photo to get that person you posed without of the frame is not a professional looking headshot. Make sure it is just you, clear and bright enough that we know it is you! This doesn’t mean that you have to run out and hire a professional, although this would guarantee that your images are consistent, clear and on point for your websites. You can make due with cell phone pictures. Just keep these things in mind. Make sure you are the subject of the photo. Keep the background distraction free. Make sure the lighting is bright and you don’t have any crazy shadows going on. Every single photo you use needs to be clear and not blurry. And when the time comes and you can afford a photoshoot. Do it you won’t regret it. Your photographer will work with you to bring your vision for your photos to life and make you look your best! Even if you think people don’t notice small things like your domain name they do, especially when it comes time to type your website into their search bar from memory. You might be making it even harder on people trying to find you if you’re website is yourname.XYZDOMAIN.com rather than just your business name. These small tweaks will make a huge impact in making your online presence more professional when you are starting out! What will change for your business with a more professional website? Comment below!